Very nice comments made by Mr Langfield of Edenthorpe DN3. We’ve worked for Mr Langfield since 2009 and again recently. Excellent service, shame so few companies work to such standards of customer care. 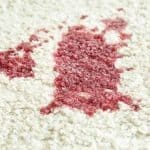 When new client Mrs Wood of Edenthorpe used us recently she returned her questionnaire and had made the following comments… My carpets look as if they were brand new. Thank you Mrs Wood, we do try 🙂 Allan. Mrs Wright of Edenthorpe has used us for years, since 2001. Thank you Mrs Wright. We visited again recently and this is what Mrs Wright put on her questionnaire… A regular customer for ten years – need I say more?